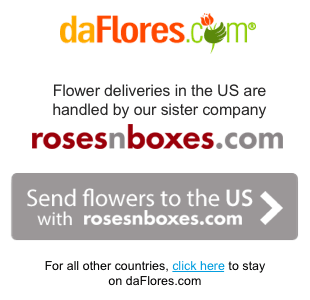 Here's a burst of color in the form of two dozen beautiful Colombian roses. 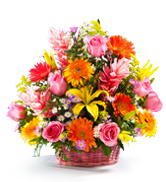 Two dozen red, yellow, gold and pink blossoms come together in our spectacular oversized arrangement. 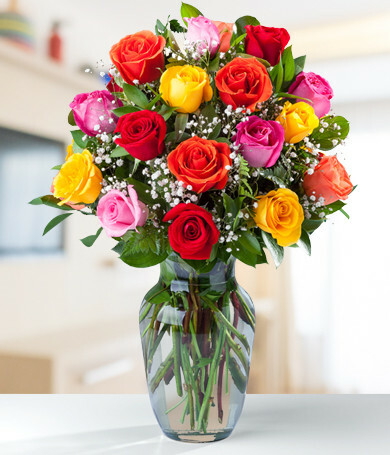 If you really want to make a statement, whether it's Thanks or Congratulations or Cheer Up, this stunning Colombian rose arrangement will do that for sure!